While backpacking through the New England wilderness, I am often fearful of taking a turn down a wrong path. Usually, I am not alone: 10 bright-eyed incoming first-year students and a fellow upperclassman follow close behind as I crane my neck to scout farther down the trail. 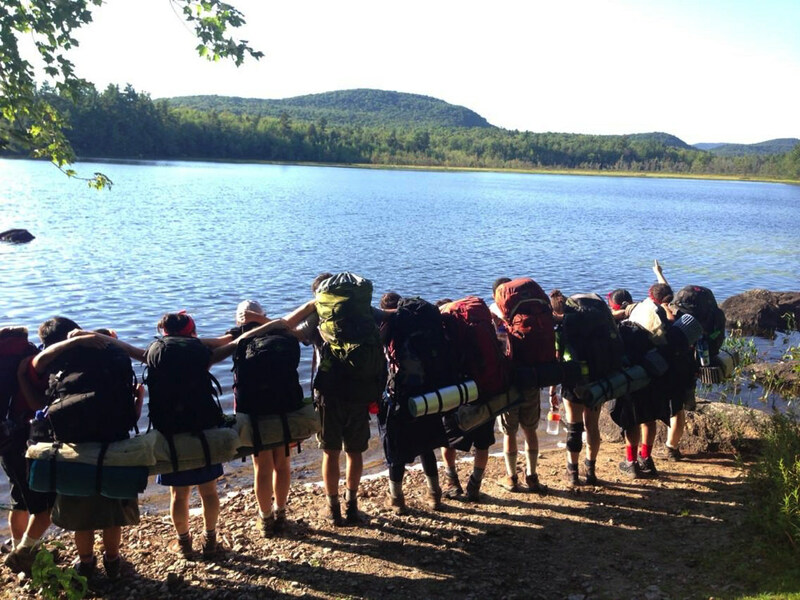 I am leading a trip for the First-Year Outdoor Program, Harvard’s oldest and largest pre-orientation experience. Our program’s roots date back to the late 1970s, when then-dean of freshmen Henry Moses decided that one of the best ways Harvard could help first-year students transition to college was to start by removing them from campus. Today, roughly 400 participants, affectionately known as “FOPpers,” venture out across the mountains of New England for five-day trips each fall, hoping to forge new friendships and to learn from upperclassmen. Our program is about orienting (or pre-orienting) students to life at Harvard, providing many an opportunity for reflection and contemplation before being swept up by an endless calendar of on-campus orientation events and the rush of shopping classes. It offers a shared path intended to make the “wilderness” of Harvard less intimidating. For both hikers and incoming first-years, paths serve an invaluable purpose. As writer Robert Moor puts it, “a path is a way of making sense of the world. There are infinite ways to cross a landscape; the options are overwhelming, and pitfalls abound.” Our role as FOP leaders is to help blaze a metaphorical path for incoming students during their atypical introduction to Harvard. Although a good leader shares the bounties of wisdom and experience, balancing this dual obligation to paint optimism and realism while remaining honest was the most difficult challenge I faced leading my first FOP trip. On the second night of the first FOP trip I led, my group gathers around a makeshift fire: a headlamp wrapped around a Nalgene bottle. (It’s better for the environment to avoid unnecessary campfires.) My co-leader invites each participant to spend five minutes on autobiography—the narrative is free-form, and they all quickly realize that 300 seconds is a long time to talk about yourself. The activity always opens with a silence so palpable, I can almost feel it. I inhale deeply and say, “I can go.” Everyone else shifts a bit, and I consider where to begin. I talk about Harvard by weaving between stories of unfulfilling blocking memories in the bitter cold of my first New England winter and the triumphant summer that followed filled with finding a new passion. But each time I start wading into a “low” moment, I am careful with where I step in my recollections—to not let the bad memories overshadow the good ones. I struggle to covey sincere reflections of my experience without adding to the anxieties that already populate my FOPpers’ minds. As we each share stories from our past, the scars that linger just below the surface begin to emerge with our current fears nestled alongside them. Our unfamiliarity with each other lessens. The next afternoon, I listen as the surface-level conversations of the first two days melt into deeper musings. The two girls hiking behind me share their trepidations around developing new friendships in college. By the time we reach camp a few hours later, they are inseparable. For me, the connection that forms around these shared insecurities is the most meaningful part of being a FOP leader, the moments that FOPpers recognize their own fears in each other. While the program has evolved over the past four decades, some things have remained the same. Justice recalls spending much of her time preparing bags of powdered milk, a staple of FOP trips to this day. Since its inception, FOP has been a “vehicle” through which first-years can develop a sense of self-awareness and social support. Despite the financial-aid program, we still struggle with racial and socioeconomic diversity. I know already that the crowd of FOPpers sitting on the steps of Widener Library this coming August will not accurately represent the diversity of the incoming class of 2022. As The Harvard Crimson has reported, black and Latino students continue to be underrepresented among FOP participants, and the program generally attracts a more affluent demographic. Current leaders strive to make the program more inclusive where we can. We encourage College students who did not participate in FOP to consider becoming leaders for the program, knowing that serving a more diverse participant cohort requires leaders who reflect the diversity we seek. And though we don’t expect participants to have any prior outdoors experience, we have piloted new types of trips that we hope will encourage more students to consider signing up. Meanwhile, we will lead our newest first-years into the wilderness to start finding their own paths. All too soon, the nights of talking around a glowing water bottle will be over. After five days, we’ll return to the “front country” of Harvard Yard, so the first-years can continue their transition into college. Listening to the FOPpers as we say our farewells beneath Johnston Gate, I will be reminded of myself at 18. Their anxieties will be as valid as mine were, but probably as narrow and naïve, as well. One afternoon, I helped one of my FOPpers carry luggage across the Yard to meet his family. A Dorm Crew participant passed us, sweating a small puddle in the stifling August humidity. A vacuum was strapped to his back. I wondered if he had just come from cleaning my FOPper’s suite. Maybe they will be roommates. I’m reminded of FOP’s difficulties with diversity—I wish we could give every incoming first-year an experience like FOP. It’s not clear to me that continuing on the path the program is on now will allow us to reach that goal. FOP is as much about participants exploring unfamiliar paths as it is about leaders guiding them down well-trodden ones. But following clear paths often leads us to familiar conclusions. Perhaps we need a trailhead that will take us somewhere we have never been before. Kenton Shimozaki ’19 is a member of the steering committee of the First-Year Outdoor Program.